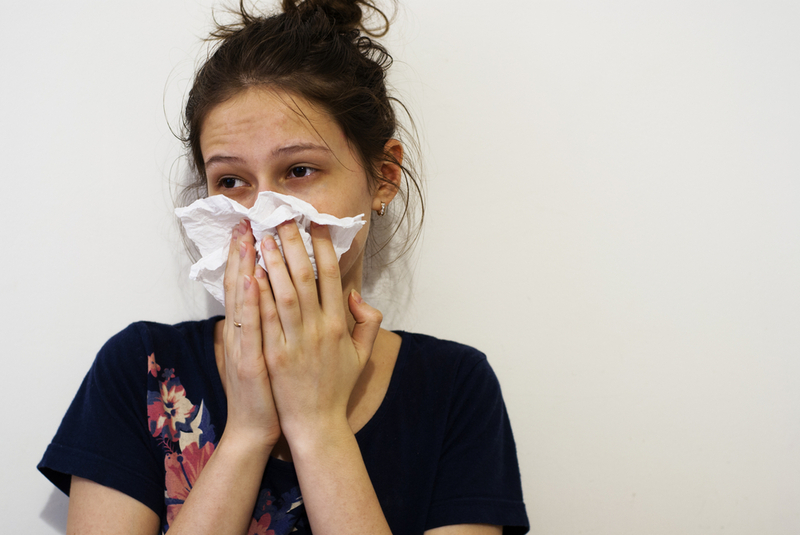 Why Are Allergies So Dang Hard To Get Rid Of? After a long winter, everyone welcomes the arrival of spring. But if you’re one of the 50 million people in the United States who suffer from nasal allergies (that’s around 15 percent of the population), enjoying the warmer weather comes at the steep price of an allergen onslaught. And if you’ve been lucky enough to escape this annual experience so far, you might not be out of the woods yet; a person can develop nasal allergies well into early adulthood. Allergies arise when the immune system attacks allergens, such as pollen, as if they were pathogens, like bacteria. One popular method of treatment—allergy shots—has been around since the early 1900s. With so much collective sniffling, why hasn’t modern medical science discovered a cure for this springtime scourge? The reason, says Matthew Rank, an allergy specialist at the Mayo Clinic School of Medicine in Scottsdale, Arizona, is that we’ve only recently started piecing together exactly why our immune systems turn on us. For years experts have guessed that environmental factors play a role in allergy susceptibility. Last year, researchers found convincing evidence to support that theory with a study of Amish and Hutterite communities in North America. Asthma and allergies are rare in the Amish, while Hutterites, who have similar genetics, are susceptible. One major difference between the groups is that the Amish spend much more time outside on their farms. But how could sharing the air with livestock affect the immune system? One theory is that it shapes the composition of organisms in the gut microbiome—and those microbes could in turn influence allergy susceptibility. Indeed, in a study published last year, Susan Lynch, an associate professor of medicine at the University of California, San Francisco, found that the percentage of babies born with less diverse gut bacteria is similar to the percentage of American adults with severe allergies or asthma. Lynch and Rank join Ira to discuss what we know and don’t know about allergies and asthma; the differences between nasal and food allergies; and how climate change is exposing a glaring need for better allergy treatments. Susan Lynch is an associate professor of medicine and director of the Colitis and Crohn’s Disease Microbiome Research Core at the University of California, San Francisco in San Francisco, California. Matthew Rank is an Associate Professor of Medicine and a Consultant in the Division of Allergy, Asthma and Clinical Immunology at the Mayo Clinic School of Medicine in Phoenix, Arizona. IRA FLATOW: This is Science Friday. I’m Ira Flatow. When I was a teenager, my doctor described me as his human pin cushion. I guess it was his way of making me feel good about getting half a dozen allergy shots a week. I was allergic to pollens, grasses, and weeds, and three shots in each arm was how medical science in the ’60s tried to calm my asthma attacks. My seasonal allergies since went away, 10 years after stopping my shots. Mysteriously. No one knows how that happened. But I’m always reminded of them each year, as the weather warms, the trees bloom, and then, WHAM, folks get hit over the head with the symptoms of seasonal allergies. You scramble to find some over-the-counter drug to treat it. Maybe it works. Maybe it doesn’t. You end up living through some of the most beautiful months of the year with itchy eyes, a runny nose. You feel generally miserable. You really can’t enjoy it. And for the 50 million people in the US with seasonal allergies, I bet that scenario feels pretty familiar. 15% of the population is suffering. That’s more than the number of people with diabetes in this country. And yet we don’t have any way to prevent them. Sure, you can pay for immunotherapy, years and years of allergy shots– that hasn’t changed. But a silver bullet for allergies? Well, we’re not quite there yet. But there is some promising research and some good theories, including one involving the microbiome that leaves the door open for better treatments down the road. Well, as every allergy sufferer knows, some relief is better than nothing. Sometimes. That’s what we’re going to be talking about this hour, if you’d like to join us. Maybe you suffer from allergies. Our number, 844-724-8255. You can also tweet us @scifri. I’m sure there are lots of you out there with this seasonal affliction. Let me introduce my guest. Susan Lynch is an associate professor of medicine at the University of California, San Francisco. Dr. Lynch, welcome back to Science Friday. IRA FLATOW: And also joining us is Matthew Rank, an associate professor of medicine at the Mayo Clinic School of Medicine in Scottsdale, Arizona. Welcome to Science Friday. IRA FLATOW: As I say, our number is 844-724-8255 if you would like to join in the discussion. Let’s get down to basics first, Dr. Rank– what makes something an allergy and why are we allergic to things like pollens and grasses and stuff like that? MATTHEW RANK: It’s all about how our immune system handles its environment. So if it sees something it doesn’t like, like an allergen, and decides to make an immune response that is allergic, it results in very bothersome symptoms– nasal congestion, sneezing, dripping, eye itching, asthma, like you had. And for some people, their immune system simply ignores that allergen like the harmless invader it really is. Others develop an immune problem and develop allergies. IRA FLATOW: I’m curious about those allergy shots, because I can’t believe we still do it the same way. MATTHEW RANK: Since about 1909, allergy shots are one way that we try to educate or train the immune system to become tolerant of those allergens. So similar to in the 1960s, we gradually expose people to the things that we think they are allergic to and basically trick the immune system to accepting them rather than overreacting to them. Things have changed a little bit since the 1960s. We have a better idea about which doses to use and better quality extracts to treat people with, but the concept– and we have a better understanding of the mechanism of immune tolerance– but the concepts are largely the same. IRA FLATOW: And Dr. Lynch, I want to turn to you about the work you were involved in with the microbiome. How– it’s one of our favorite topics on Science Friday, if you listen, you know. So I’m very curious to know how the microbiome fits into all of this. SUSAN LYNCH: Sure. The microbiome is one of my favorite topics, as well. We were really interested in understanding the genesis of allergies. And so we turned to very young babies to understand whether the microbes in their gut may be different in those children who developed allergies and, actually, asthma, as well, in childhood versus those who did not. We looked at the stool of one-month-old babies and found that they were not all the same, that there were three distinct types of gut microbiomes in those children, and that one of them, those children who had that type of gut microbiome are at heightened risk of allergies at age two and asthma at age four. It turns out that within that gut microbiome, those infants are lacking a whole range of commensal bacteria that we know produce things like short chain fatty acids that induce the very types of immune cells that quench allergic inflammation. And conversely, they were quite enriched for a whole range of fungi that we also know are pro-allergic. We went on to show that the products associated with that high risk gut microbiome in those one-month-old babies could actually induce allergic responses from previously healthy immune cells from adult donors. So suggesting that, at least for childhood allergy development, that the canary in the coal mine may actually be the gut microbiome in the very earliest stages of life, that is producing products that drive allergic responses from those children, and quenches the capacity to down regulate inflammation that prevents allergic response. IRA FLATOW: Do you have any idea where that microbiome might get started, that particular kind of microbiome? SUSAN LYNCH: That’s a great question. Certainly there’s evidence from our group and from others that the environment that children are raised in may, in fact, serve as a library of microbes for the microbiome that develops someday in the airways and the gastrointestinal tract. And we’ve shown that children in– even the inner city, which we think of as a kind of microbial desert, but it turns out it’s not. There’s a gradient of microbial exposure within the inner city. And in homes in which children have exposure in very early life to a broad range of bacteria, they’re the children that do not develop allergies. And conversely, those children who are raised in homes that lack these bacteria that we find in the gut and the airway and protect against pathogens and against allergens– they’re missing from the environment of those infants. IRA FLATOW: Dr. Rank, let’s talk about the pathways, about how the immune system responds when it responds to allergens. And maybe then we can think about how the microbiome might play into that. MATTHEW RANK: Sure. The immune system has a number of choices it can make. And there’s a whole spectrum of decisions it can make along the way in exposure to different things. So as Dr. Lynch discussed, if the immune system, in a critical time period, in, say, infancy, is exposed to a diversity of microbes, it can make an immune response that’s less allergic. If not, that same person can develop more of an allergic response. These have traditionally been called TH1, the non-allergic, and TH2, the allergic responses. However, we are learning a lot more about those particular immune responses, the different components in immune tolerance pathway. And those pathways really can be set even from infancy and for the rest of life, even, perhaps. And so, the focus of Dr. Lynch and other teams’ research has really been in that critical time period in these young children and on those particular lifestyle changes that have occurred in the last 40 to 50 years in our society. IRA FLATOW: So is it possible, Dr. Lynch, that the gut microorganisms are sort of flipping the switch between these pathways in the immune system? SUSAN LYNCH: That’s what we think. That’s the developing hypothesis, that colonization of the early life gut are, perhaps even in adulthood, a perturbation to the gut microbiome that results in enrichment of some of these less than desirable microorganisms, results in the presentation of microbial antigens to the host, as well as microbial products to the host that really skew immune function towards that of a pro-allergic response. IRA FLATOW: What is the difference between an allergy, let’s say to pollens, grasses and weeds, and being allergic to something like gluten in bread products, things like that? Is it the same mechanism that’s going on? MATTHEW RANK: It’s a little bit different. Most people that are having gluten responses are having an immunologic response that can be described as having celiac disease. This immune response is different than somebody who would have an allergic response to, say, peanut or shellfish, where you consume the food and within 15 to 20 minutes, you develop a rash, swelling, vomiting, diarrhea, maybe even breathing problems, maybe even pass out. So Those are different mechanisms. We generally term the reactions like celiac disease in a food intolerance category and the other immediate type of allergy in what we call food allergy. However, we talk to patients all day, and basically anything that happens to somebody after an exposure, whether it’s medicine or pollen or foods, in general terms, is labeled an allergy by the general public. MATTHEW RANK: And so we try to help sort through those things by understanding the mechanisms and the appropriate tests that can be used to confirm them. But it’s not it’s not always easy. IRA FLATOW: I want to talk to you about something interesting we came across. There was a study that made headlines last year that they looked at the Amish and the Hutterite communities and found very different results about their allergies, Dr. Rank. MATTHEW RANK: Yeah. That’s a really interesting study. The interesting thing about the Hutterites and the Amish are they have different farming practices. The Hutterites follow a more industrial farming practice and the Amish a very traditional farming practice. Some very smart researchers decided to take advantage of these differences and learn about how their immune systems may be different. First, they found that the allergy and asthma rate were far lower in the Amish, which they kind of already knew before based on other previous studies. But what they didn’t know before was the immune mechanisms involved in those differences. And they found, actually, that the innate immune system, which is the part where our body first sees a potential allergen or pathogen, was abnormal and was the part that was really different. What they were able to do was take the dust that an Amish child would be exposed to and actually do some elegant experiments in mice, and show that that dust would basically make allergy and asthma go away. They take the same dust from the Hutterite family household and couldn’t make that happen. IRA FLATOW: Let me interrupt you, because we have to take a break, and I want you to finish that thought because it’s an interesting study. We’re going to take a break. 844-724-8255. Lots of people on the line. We’ll get back to this Amish and Hutterites story after the break. Stay with us. If you just joined us, you’re listening to Science Friday from PRI. And we are talking about allergies, because it is the allergy hay fever, that terrible season of the year where people are coughing, sneezing, hacking, all kinds of stuff. We’re talking about allergies with Dr. Susan Lynch and Dr. Matthew Rank. And Dr. Rank was talking about this interesting study of the Amish and the Hutterite communities, and how, even though they’re both isolated communities, they have totally different reactions to their environment. Continue. Pick up where you left off. IRA FLATOW: They took the dust from one community and gave it to the other, and then gave it to mice, or what happened? MATTHEW RANK: No. They took the dust from the Amish and the Hutterite communities, and they exposed mice to those as a way to try to train the mice’s immune system. And they found that the dust from the Amish, the more traditional farming community, was able to significantly reduce the allergic and asthma responses in mice. Again, suggesting that the important key elements are within that environmental exposure. Whereas the same dust from the Hutterite, the more industrial farming, just did not show that same reduction. MATTHEW RANK: I think the main conclusion is that the things that we’re exposed to are in our environment, the microbes and– maybe not even just microbes, but other things that are in that exposure are really important for the development of allergy or tolerance. IRA FLATOW: Dr. Lynch, does this study fit the theory that the microbiome might play a role? SUSAN LYNCH: Absolutely. We have to consider that we are constantly exposed to microbes and they are playing with our immune system all the time. They get to colonize the surfaces in our body, in the upper airways and in the gastrointestinal tract. A really interesting aside on that study is that in the Hutterite farms, the farmers change their clothes in their barns, so they don’t bring the microbial exposures in their barns into their living environment. And that’s one of the ideas that is bandied about, that it’s a lack of exposure to these tolerizing microbes in the environment that plays a large role in dictating allergic response. IRA FLATOW: All right. The phones are lit up, as they say in the radio business. I’m going to go through some calls. Let’s go to Cincinnati, to Debbie. Hi, welcome to Science Friday. Debbie, are you there? IRA FLATOW: All right, let me– Debbie, let me interrupt, because your cell phone is sort of cutting in and out. What you want to know is how do you go about finding a good allergist, good physician? MATTHEW RANK: I’ll take that one. IRA FLATOW: Yes, go ahead, Dr. Rank. MATTHEW RANK: I think you could start by talking to your regular doctor. Often, they’ll have a really good idea who the best doctors are. They make referrals and they get feedback. There are also many resources online– the American Academy of Allergy, the American College of Allergy, both have websites with listings of allergists that are specialists. And I think another way to get good advice is talking to people you trust– friends, family– who have had experiences. Chances are, if you have allergy problems, many in your family do, as well. IRA FLATOW: We have a tweet from Karen [INAUDIBLE] who says, how does heredity factor into allergies? Good question. SUSAN LYNCH: That’s a really good question. MATTHEW RANK: Please, go ahead. SUSAN LYNCH: Sure, sorry. There’s certainly risk genes that have been associated with increased chances of developing allergies and asthma, things like ORMDL3 and so there is clearly a hereditary component of this. But I think that the rapid increase in the rate and prevalence of allergic disease over the last several decades suggests that this is not simply down to host genetics. I would also like the audience to think, as well, that it’s not just host genes that we pass on to our offspring. There’s actually microbes that are transmitted vertically from mother to child during the birthing process. So it’s not just host genes, it’s microbial genes, as well, that might be driving some of this, and that vertical transmission may be compounded over generations. It’s one of the hypotheses in the field right now. IRA FLATOW: That brings me to Jessica in Murray, Kentucky, who might have a comment about that. Hi, Jessica. JESSICA: Hi. I was wondering, is, in the studies looking at infants, in particular, if you saw any impact of breastfeeding with regard to the intestinal flora. SUSAN LYNCH: We certainly know from studies outside of our own that breastfeeding appears to promote the types of organisms that produce molecules that allow us to respond appropriately to allergens, that allow us to quench allergic responses. In our study of the one-month-old babies, we actually did not see a significant difference in breastfeeding frequency between the high risk and the lower risk groups. But that may be because our numbers are small. We had 11 children who were in the high risk group. So that’s always a caution with smaller studies. And we certainly know that breastfeeding is associated with promotion of the types of organisms that we need to quench allergic response. IRA FLATOW: Here’s a tweet, came in from morningmorning, who says, “been eating honey from a hive in my hood.” I imagine that’s raw honey. I haven’t had to take medications. Coincidence? I’ve heard a lot of anecdotal stuff about honey. MATTHEW RANK: We have a lot of patients coming and asking us about this. And like with a lot of different treatment options in allergy, some have been studied better than others, some we have more confidence in how well they work. Local honey is one of those treatments where we really just don’t know how well it works. We really don’t have the studies with the right rigor that we need to judge how effective it may be. I usually steer patients to treatments that we know may be more– that we have more confidence that they’re effective, but I don’t discount the possibility that this could be an effective treatment after we’ve studied it more carefully. IRA FLATOW: And because there’s no money, really, if it’s local honey, and doing a study. MATTHEW RANK: That’s right. The support would have to come from somebody who really wanted to do that study and wouldn’t potentially be able to benefit monetarily. IRA FLATOW: That’s 100 million bucks we’re talking about, something like that. Let’s go to Maryland. Andrea, in Maryland. Hi. Welcome. ANDREA: Hi there. Thank you for taking my call. I want to start with a quick history before I ask my question. Well then, about two years ago, at the advice of my father’s a nutritionist, who has been [INAUDIBLE] for many years, I dropped all dairy from my diet. And I started probiotics and prebiotics. And I have not had any seasonal allergies for the last two seasons since I changed my diet. So here’s my question– is it possible that you have, as I try to explain it to people, you have x number of soldiers that are fighting your allergies. And if you have a food allergy that you don’t know about, that’s using up some of the soldiers and you don’t have enough– your immune system is not strong enough or doesn’t have enough of these quote unquote soldiers to fight the seasonal allergies that you’re discussing? IRA FLATOW: Dr. Lynch, Dr. Rank? Calling Dr. Lynch, Dr. Rank. SUSAN LYNCH: Sure. I think a change in diet begets a change in the types of microbes and their products in the gastrointestinal tract. That’s a given. And the fact that you’re seeing a change of diet also with an introduction of probiotics as being beneficial is quite interesting, because it mirrors a study that was performed in infants with cow’s milk allergy. Those infants who received cow’s milk with a Lactobacillus supplemented into the cow’s milk actually showed a significant reduction in their cow’s milk allergy following a year of that type of mode of feeding. So I think what it suggests, and your anecdotal evidence suggests, as well, is that it may be a combination of providing the right foodstuffs as well as the right microbial machines to convert those foods into molecules that reduce inflammation and allergic responses. IRA FLATOW: Oh, I’m sorry. Go ahead. I’m sorry, Dr. Rank. MATTHEW RANK: I would completely agree with the mechanistic suggestion from Dr. Lynch. I would add, though, a note of caution that we really don’t know how well those dietary changes or those pre- or probiotics will work in reversing or changing immune tolerance. We still have a lot more work to do in that field. IRA FLATOW: A couple of questions. One from my own experience and one from people who’ve been asking about nut allergies. How come– when I was growing up, I never heard the word, “nut allergies”. Is it just going undiscovered, so to speak? MATTHEW RANK: Maybe let me start with that one. But I do want to give Dr. Lynch a chance as well for this one. We think there’s been a significant increase in nut allergies, and we think this is likely related to a number of factors. A number that Dr. Lynch already mentioned– changes in lifestyle, changes in diet, changes in antibiotics, changes in our microbiome. And we don’t fully and completely understand the relative contribution of each of these factors, but we’ve clearly observed, I think most would agree, an increased prevalence in all these food allergies. IRA FLATOW: An increased prevalence in food allergies? Wow. And any hypothesis why that might be? SUSAN LYNCH: There’s a number of theories, I think. I think we’ve changed quite dramatically how we produce food and that may also change the content of the food. And indeed, even the microbial payload that comes along with the food. Microbes do not have to be live to induce an immune response. I think that that’s an important point to be considered. The sugars that decorate their membranes and their DNA themselves can act as signals to provoke an immune response. But I’d like to also mention a really, very quite elegant study that was published in the New England Journal of Medicine a couple of years ago. I think the idea for a number of years has been that if we avoid allergens that that would help promote tolerance to them. And in fact, quite the opposite has been shown in a study of very young children, in which early life exposure to peanut products significantly reduced the incidence of peanut allergic responses in those children. It was really a quite eye-opening study that really turned on its head this idea that allergen exposure may be the appropriate approach to prevent allergies. MATTHEW RANK: Yeah. That’s a great question. We see a lot of people that are having symptoms around their pets. We see a lot of people working in labs or working in vet offices that come in with animal dander allergy. And some people can completely tolerate that without developing an allergy. Others will develop that allergy. And the rate or the exposure rate to that is not always clearly the reason for why that happens. We believe that people have a genetic predisposition to potentially develop allergy and the environmental exposures that happen along the way, perhaps significant influenced by the microbiome, are what ultimately influence whether that person develops an allergy. And it’s quite variable, and at least from where I sit in the clinic, talking to patients with allergies every day. IRA FLATOW: Well, that, because– another Facebook from John says something very interesting along those lines, which is, “some allergies seem to sensitize with repeated exposure, meaning shellfish, while some habituate with low incremental increasing doses, such as peanut and nut allergies. Why is that?” One thing– ying and yang and that. MATTHEW RANK: I think that really gets to the heart of how immune tolerance is developed and the timing of when those exposures occur, the frequency and the dosing– all those things matter quite a bit. What’s happening right now– and Dr. Lynch nicely highlighted– is a shift in our approach to thinking about food allergy and trying to promote tolerance. That very important study she mentioned, called the LEAP study, where before, we thought, oh, if we just don’t expose children to foods during that critical time or they may develop food allergy, they just won’t end up developing that food allergy. In fact, with really carefully designed trials, we found that wasn’t the case at all. In fact, we need to expose children earlier to train their immune system to tolerate those things, so that early life frame is critical. Whereas later in life, it may not be so critical. On the other hand, there are plenty of adults that develop allergy– hay fever, seasonal allergies, asthma-type problems, food allergies. So it’s not that– it’s not the same– it doesn’t work that way for everybody. IRA FLATOW: I’m Ira Flatow. This is Science Friday from PRI, Public Radio International. Talking about allergies with Dr. Susan Lynch, associate professor of medicine at UC San Francisco and Dr. Matthew Rank, associate professor of medicine at the Mayo Clinic School of Medicine in Scottsdale, not in Rochester, Scottsdale. It seems like this is such an incredible– we could go on all day. I have a lit up board of phone calls and tweets coming in. It’s something everybody– and now, I guess, this time of the year. And let me ask you, because we only have a few minutes left– is this a bad or worse year than normal that you’ve seen? Let me ask you, Dr. Rank and then Dr. Lynch. MATTHEW RANK: Sure. Most who’ve looked at the data would say that each year may be a little bit worse. There are several factors that may contribute to this. One of them is urbanization. So actually, we grow and plant things, and they seem to grow better when it’s warmer on heat islands in urban areas, and some allergens grow better in conditions in our polluted air. The second factor is overall warmth of temperature across our country and across the world. There are longer pollen seasons. And this promotes more pollen to develop. And so each year, we may expect to see this be a little bit worse. Pretty clear that the pollen seasons the further we get away from the equator have significantly lengthened in time. IRA FLATOW: Climate change. Yeah. Dr. Lynch, do you agree? SUSAN LYNCH: I agree. I agree wholeheartedly. And again, it may be, again, about that, as the earlier caller mentioned, that increased and prolonged exposure may be part of the issue. IRA FLATOW: And so, the first thing that people should do if you say that later in life they can develop allergies is go see your physician and try to figure out what it is first. Get those allergy tests. I had 100 allergy tests on my arm years ago. Both arms. Are they still doing that? IRA FLATOW: Was I just lucky that I grew out of it? Just something we don’t know why? MATTHEW RANK: Well, we think that being on allergy shots and training the immune system in that way helps people outgrow them. Often, for a long time. It’s one of the ways to try to retrain the immune system after someone’s already acquired allergy. IRA FLATOW: All right. Thank you very much. As I say, we’ve got lots of people. We’ll send them to our website to get some of the resources. Dr. Susan Lynch, associate professor of medicine, UC San Francisco. Dr. Matthew Rank, associate professor– I don’t why I can’t get that “professor” out– of medicine at the Mayo Clinic School of Medicine in Scottsdale. In Scottsdale, was that the place people went to get away from allergies? Not so much so anymore? MATTHEW RANK: Used to be. IRA FLATOW: Used to be. That’s– Thank you both for taking time to be with us today. After the break, an innovation that melds muscles and nerves in an amputated limb and could bring more sensory feedback to bionic limbs. We are still doing amputations like we did during the Civil War. Maybe that will change now that we have bionic limbs and we want to hook up the muscles to them. We’ll talk about it after the break. So stay with us.